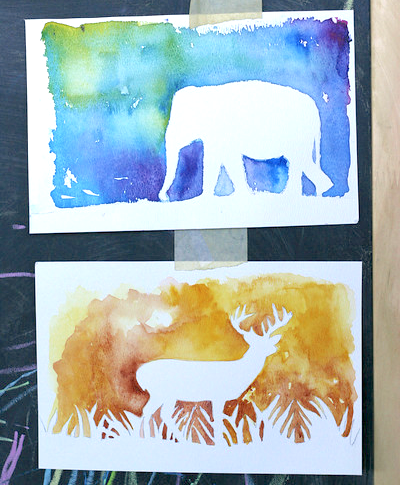 Turn a predictable watercolor painting on its head but creating a silhouette painting! It is easy to execute and the finished product looks elegant. To compose your watercolor silhouette painting, make sure your print out fits comfortably on the watercolor paper. Cut the object out from the print and place it on the watercolor paper. Lightly trace the cut-out with a pencil. This is the key: use your brush to wet the entire background around your tracing (you can even tint the water with a dab of watercolor paint to see if you missed a spot. Next, load your brush with we paint and touch your brush to the paper. The paint will spread only on the wet areas, leaving the inside of your tracing dry. Continue filling in the background with watercolors. Step back occasionally to see if your object’s silhouette is defined. Once you a satisfied, let the painting dry and then display it! 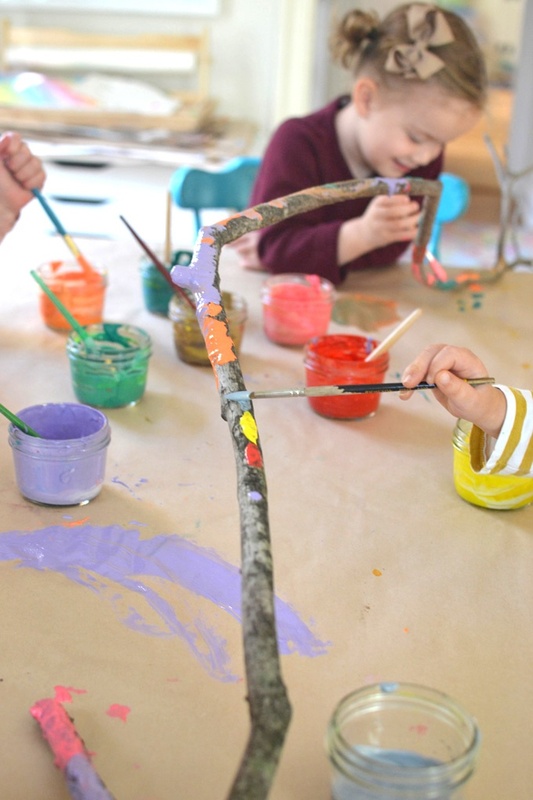 Painting a branch can be a collaborative art project in the classroom or completed solo at home. Painting a branch opens the possibilities of what a canvas can really be, while creating a unique piece of décor with texture. Line the workspace with butcher’s paper to limit messes and make clean-up easy. Place the branch on top. Fill each jar with paint and use brushes to color the branch. To prevent missing a spot, flip the branch over to color the other side. Once painting is complete, attach pom-poms with the branch with glue. Once the branch has dried, it can be placed against a wall or mounted. 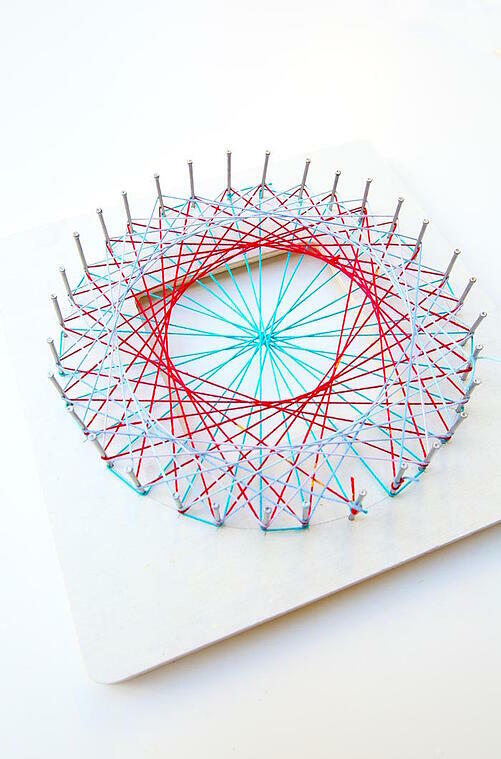 Geometric string art provides opportunities for a bit of art, design, and math! It’s a colorful project that helps both kids and adults visualize geometry and fractions. To make this geometric concoction, you’ll start by laying out the nail holes. Determine the center of the frame by drawing a diagonal line from corner to corner. Using your center point, mark the center on each side of the square. Then divide each half into three equal sections. Repeat until you have equally spaced marks along the entire square. There will be where your nails go. Hammer in a nail at each mark and then cut a long length of string. Tie the string around one of the frame’s corner nails and began making string art! By wrapping the string around various nails that are opposite each other, you will begin to see geometric patterns. For a visual step-by-step guide, check out Babble Dabble Do. Add dimension to your next art piece by creating a raised salt painting. 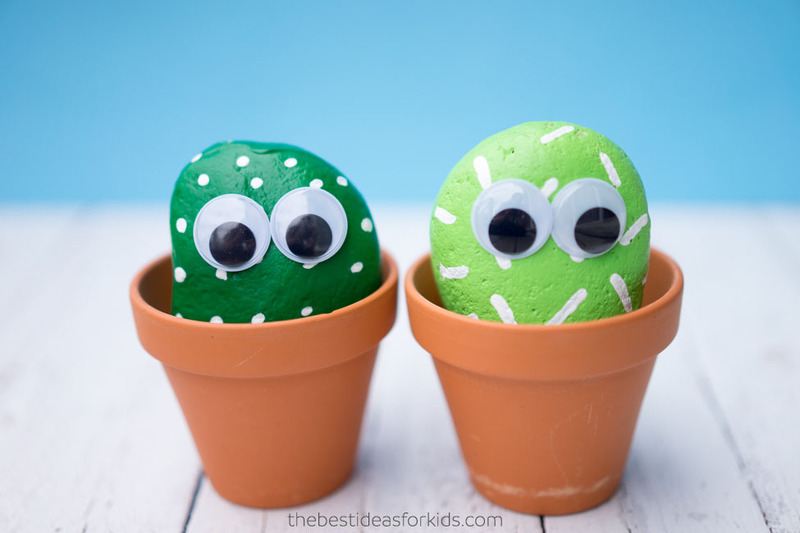 This project is easy, fun, and uses everyday items that can be found at home! 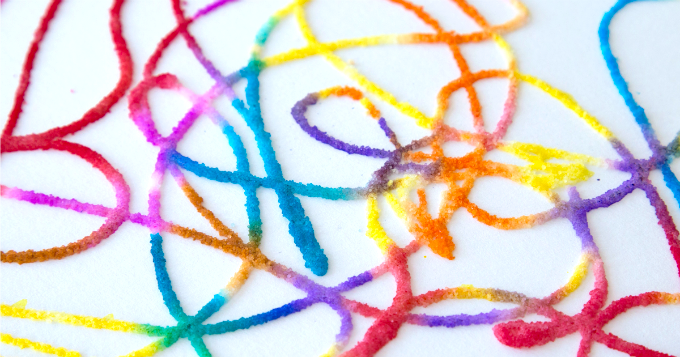 Start by drawing an image onto your paper with squeeze glue. The image can be anything from the shape of an elephant to the spelling of your name. While the glue is still wet, sprinkle it with salt until the glue lines are thoroughly covered. Tip the paper to remove any excess. Next, dip your brush (or use your dropper) into liquid water color paint or watered-down food coloring. Gently touch the colored brush to the salt-covered glue lined. Watch the paint “magically” travel in both directions! Once all the salt is colored, let the painting dry thoroughly, which may take a day or two. Once dry, you’ll have a really eye-catching textured art piece! 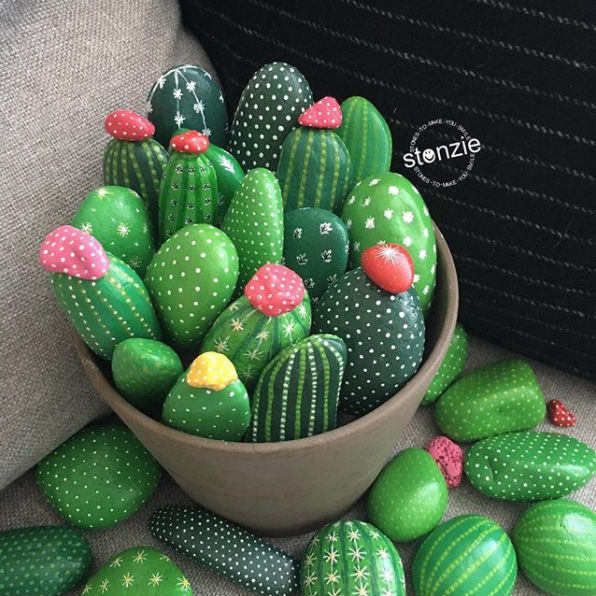 If you don’t have a green thumb, this is the project for you. Use your imagination to create cactus pet rocks that will never need tending to!